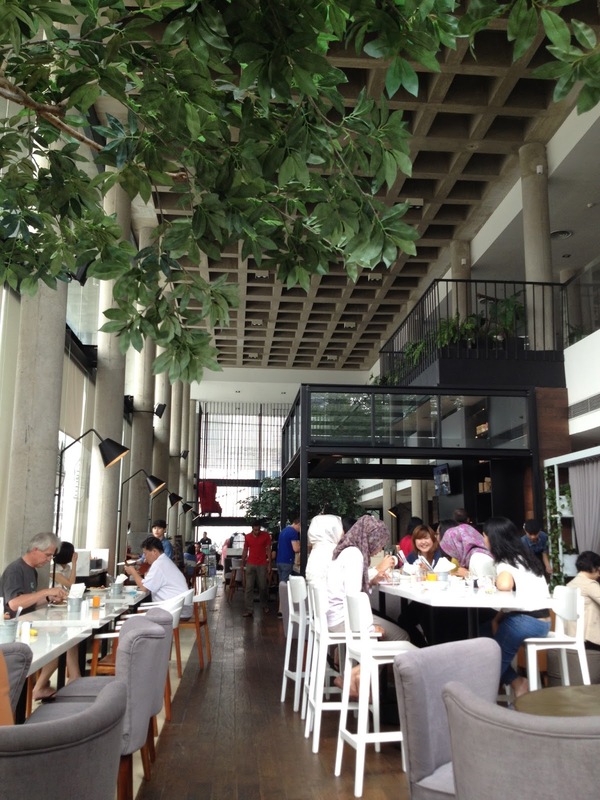 This is the piece I write for JAX about Morrissey Hotel in Jakarta. AN AFFORDABLE HOTEL DELIVERING HIGH QUALITY SERVICES THAT MAKES EVERY GUEST FEEL LIKE HOME. Starting from the interior design, you can see the simplicity of its shape and the modern look at the ornaments. As we enter the lobby of the hotel, we can sense that the entire premises are tailored to accommodate cosmopolites wanting to feel at home while staying at the hotel. The lobby area was built to resemble a living room, which is located next to a restaurant called “Home”. In addition to a number of dog cages placed on top of the lobby and the restaurant, there are dog miniatures around the halls. This indeed creates the feel of dogs being around to guard us. “The owner of the hotel is a dog lover, so he wants to add the touches of what he loves here”, says Danny Hoo, the hotel’s duty manager. Entering Morrissey, one can notice the hotel’s luxurious design being the heart of the building’s architectural style; from each side of the rooms, the meeting rooms, to the shape of the chairs at the lobby and swimming pool area. Aside from providing the self-service business center, the hotel unveils its unique side seen from the meeting rooms, which look like classes in a school. The meeting rooms are called Klasse and Lecture. As we walk further, we enter the Resident’s Lounge that is connected with the swimming pool. The lounge is filled with wood interior that truly gives a warm feeling. It’s an ideal space for guests seeking a fun activity with their family and friends. Morrissey offers studio room, studio luxe, city luxe, two-story loft and apartment – all designed to fit the needs of urban guests. Each room is equipped with kitchenette, and the hotel also provides self-service laundry on the third floor. “We want to make everything in this hotel easy for our guests”, Danny Hoo asserts. While exploring the hotel, we have the chance to have a chat with Mary Austin from the UK, a frequent guest. She’s currently doing her PhD research and says that the location of the hotel is a perfect fit for her. To go to the surrounding areas, guests can have the privilege to use bicycles or Ed, the transportation that looks like Tuktuk, provided by the hotel. But if they are too tired to go far from the hotel, they can head down to Ocha & Bella – an Italian Restaurant adjacent to the lobby of the hotel. Morrissey is also known for its long stay residence. As for the rates, the hotel is considered affordable especially when compared with its high quality services. It’s a luxurious affordable hotel; it’s what it is.